Anyone that has tried to move a refrigerator or stove knows it’s not easy unless you have some help. Before you shout, “Ouch, I hurt my back!” call Mr. Junk. Mr. Junk will carefully remove your old appliances from your home and recycle them properly. M. Junk realizes when we work together we can keep our environment clean for future generations. This is why we donate or recycle 100% of the appliances we pick up. Your fridge or freezer has lost its cool and you need it hauled away. Who you call is important because refrigerators contain harmful chemicals and gases. Now is a good time to call Mr. Junk. Mr. Junk will carefully remove your old refrigerator or freezer or even HVAC unit from your home and recycle it the right way. Mr. Junk realizes when we work together we can keep our environment clean for future generations. This is why we donate or recycle 100% of the appliances we pick up. 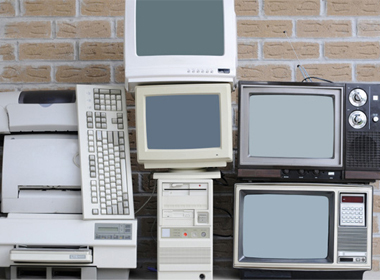 Like T.V.’s, computer monitors are dangerous when disposed of in landfills because they contain heavy metals, such as arsenic, lead and mercury. These metals are known to cause illness in individuals, but the concern goes beyond the individual level. If these metals were to leak into the ground they could contaminate the water supply, causing widespread illness. That’s why at Mr. Junk we recycle your old computer monitors. Recycling spares the environment from hazardous chemicals they contain and allows us to reuse materials like plastics, glass and metal for other products. It’s o.k. to buy the next greatest computer device as long as you dispose of your old one properly. Electronics are dangerous to dispose of in landfills because they contain heavy metals, such as arsenic, lead and mercury. These metals are known to cause illness in individuals, but the concern goes beyond the individual level. If these metals were to leak into the ground they could contaminate the water supply, causing widespread illness. Less than 2% of the municipal solid waste stream is represented by electronics. This can be a problem considering how fast technology changes and the number of new products that are brought to market. It’s o.k. to buy the next greatest device as long as you dispose of your old one properly. Printers and copiers are constantly under heavy use and are prone to paper jams and failure. Combine this with the rapid pace of improving technology and you end up with a lot of printers heading for the landfill. This is a problem because like other electronic devices, printers and copiers contain heavy metals, such as arsenic, lead and mercury. These metals are known to cause illness in individuals, but the concern goes beyond the individual level. If these metals were to leak into the ground they could contaminate the water supply, causing widespread illness. That’s why at Mr. Junk we recycle your old printers and copiers. Recycling spares the environment from the hazardous chemicals they contain and also allows us to reuse materials like plastics, glass and metal for other products. It’s o.k. to buy the next greatest computer device as long as you dispose of your old one properly. Like tires, batteries are another environmentally hazardous item to dispose of. Because of the acid they contain they require special storage and handling. Whether it’s a battery from a car, boat or lawnmower, we can recycle it. From a small tabletop T.V. that you can carry under one arm to a large cabinet projection T.V. weighing hundreds of pounds, Mr. Junk is who to call for your T.V. removal needs. Not only are we especially careful as we remove it from your home, but we recycle your old T.V. sparing the environment from the hazardous chemicals and gases they contain.